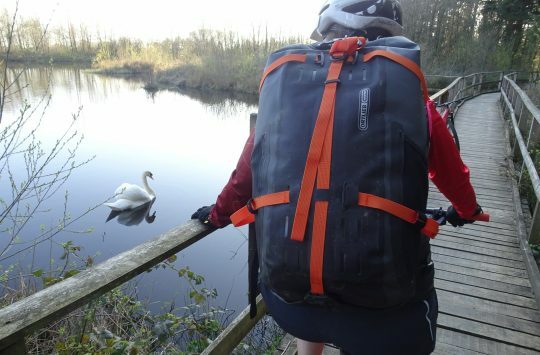 Capitalising on the recent touring resurgence invention of bikepacking, Yorkshire brand Restrap has recently announced their new three-bag CarryAnything line. Some eighteen months in development, result are handmade by Restrap in Leeds- and look to be well-considered for the money. You might hit the bars- but your bag shouldn’t. 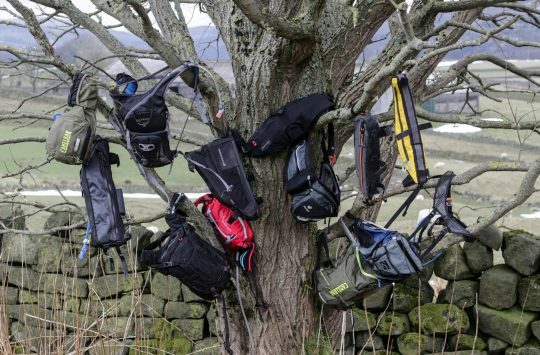 Designed to accommodate 8-13L dry sacs (such as the Ortleib model available from ReStrap for £10), the Bar Bag is said hold loads securely against the bars. Magnetic buckles can be adjusted single-handedly while a magnetic attachment system allows the addition of a £20 food pouch or map holder. An impressive-looking, UK-made piece for £54. 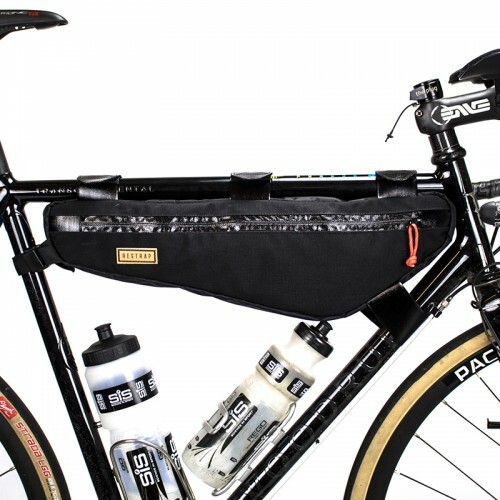 Where N+1 is the correct number of accessories. 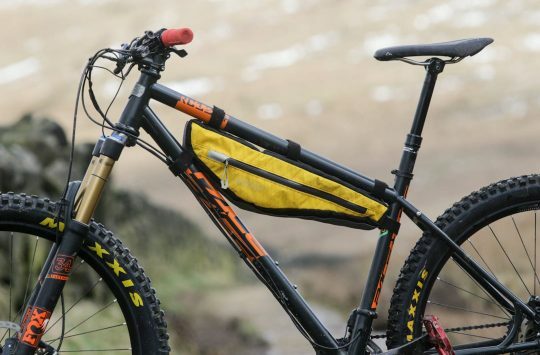 Frame bags are available in three sizes (£40-60) to suit various frame sizes and rider ambition levels. 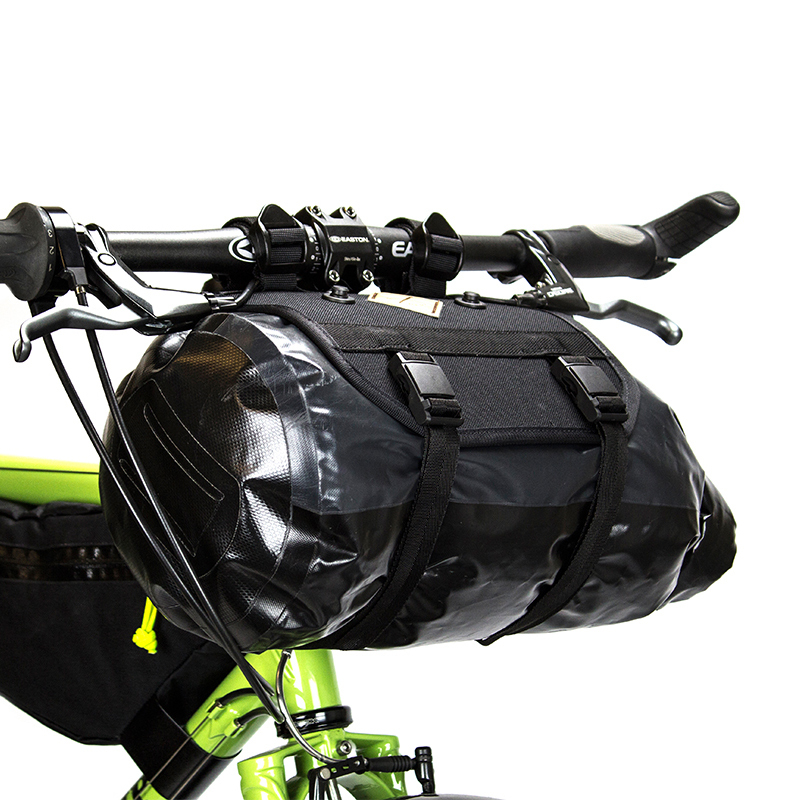 Waterproof zips, 1000D Cordura, and laminated VX21 fabric should keep the elements at bay and the frame straps are rubberised to keep sway at bay. Internal mesh pockets provide organisation and the larger two sizes each include a document pocket. Nothing says “Adventure!” like an underseat rocket booster. The CarryEverything range’s pièce de résistance is the £90 (£100 with 13L dry sac) Saddle Bag. 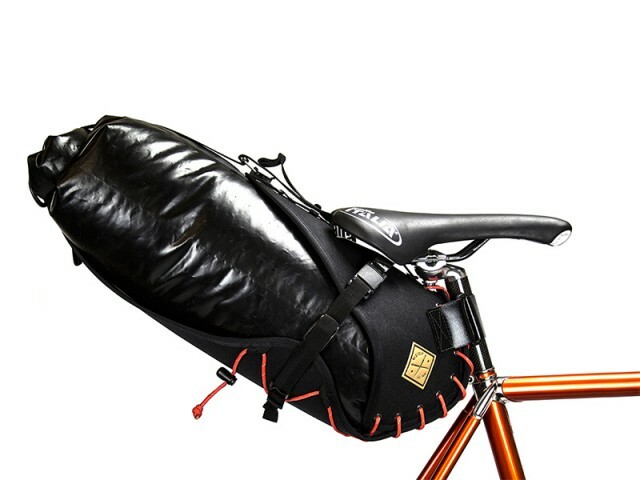 As with the other models, the Saddle Bag mounts without bolts or screws and should fasten to most any bicycle with a saddle. Colourful and reflective paracord provides both flair and adjustability. According to their website the bar bag is £54.99, and the add on food pouch is the bit that is £20.